We are proud to introduce our Executive Council for 2018-2020 biennium. Each of these men have contributed great things to Phi Kappa Psi from their servitude, and we are excited to support their leadership during this time. Following the Grand Arch Council, the new EC held their first meeting together. The power dynamic inherent in the current new member process has the potential for unhealthy behaviors. The industry is shifting quickly, and shorter new member education periods are coming for all chapters eventually. The Committee did not endorse a 10-day new member period in its current form, but exploring a revised model was endorsed. Additional resources should be invested in recruitment training. The Committee recommended that a task force of undergraduates, alumni, industry experts, and staff be organized to monitor the construction of new programs. There was full support of the new continuing education program for members. The Ritual Committee recommended that all mentions of the terminology ‘pledge’ should be removed. Soliciting volunteer chapters to test 10- and 21-day pilot New Member Orientation programs. All other chapters are expected to adhere to the current six-week member education program. The EC will form a New Member Education Task Force to examine best approaches. After considering the data and recommendations of the task force, the EC will vote on a revised member education model to be implemented in Fall 2019. 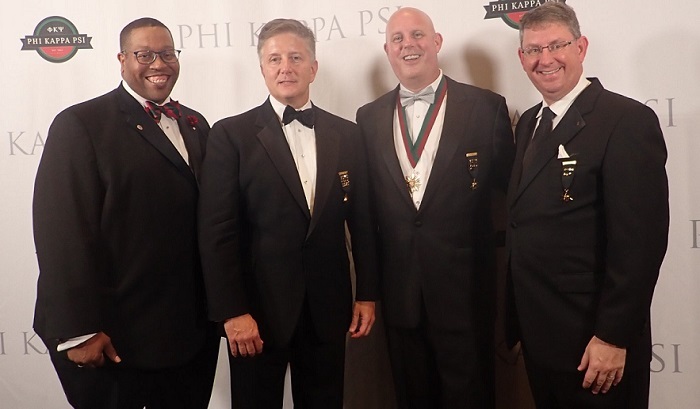 “The EC is encouraged and inspired by the brotherhood and the commitment toward creating a healthier future for Phi Kappa Psi,” said Phi Kappa Psi national president Shannon Price (Alabama ’88). “We look forward to the growth as we chart a new course for our new member education efforts.